Product Consists : Bouquet of 20 Mix Roses (Yellow, Red and White), 10 Assorted Cadbury Chocolate Bars (Worth Rs. 10/- each) along with Christmas Greeting Card. 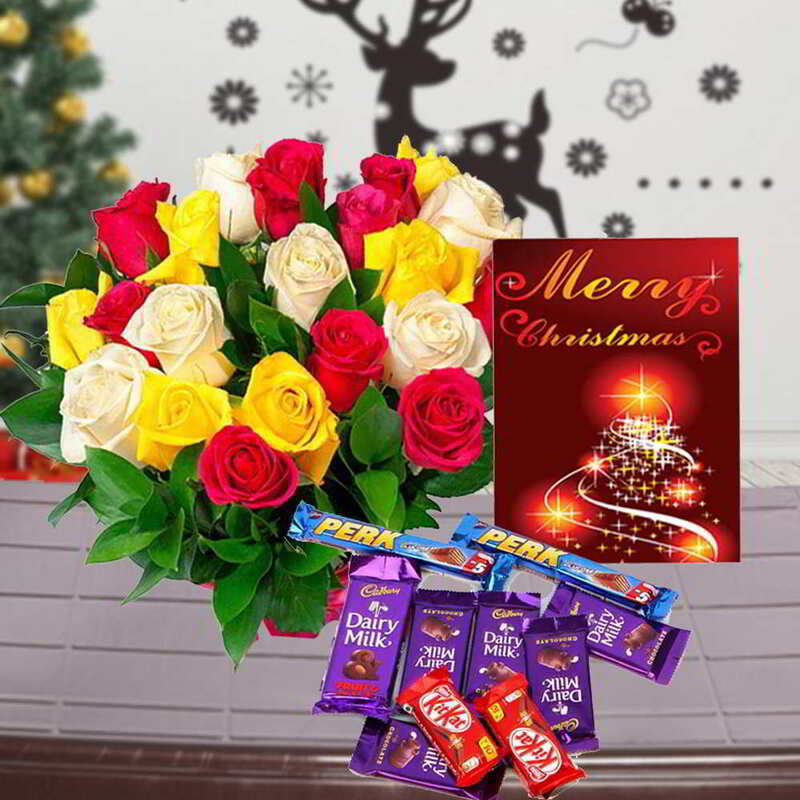 This gift hamper is perfect for Christmas gifting and if you are giving this combo to any girl than it will be her best Christmas gift ever received. 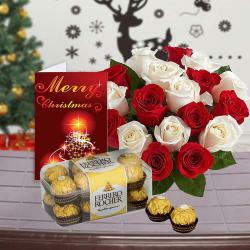 This gift hamper contains one rose bouquet of twenty five roses of three different colors. 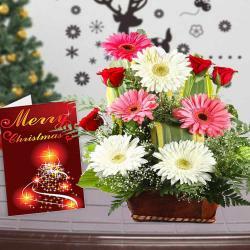 It has yellow, pink and white roses beautifully arranged in bouquet shape. Roses have meanings as per their color and number. This bouquet can be considered as a bouquet of emotions as it contains different color of roses. This gift combo also includes four types of mouthwatering chocolates. 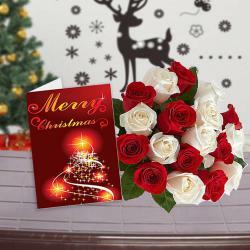 The last item of this gift combo is one Christmas greeting Card on which you can write your message for the receiver. 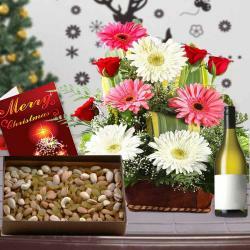 Send this amazing gift hamper to your dear ones on this Christmas and delight them from their core. Product Consists : Bouquet of 20 Mix Roses (Yellow, Red and White), 10 Assorted Cadbury Chocolate Bars (Worth Rs. 10/- each) along with Christmas Greeting Card.